In my recent course of basic Buddhist concepts at the local Tibetan centre (Gelug), the monk was explaining karma and he said, "even intense thoughts can leave a karmic imprint". Now it occurs to me that computer games generate pretty intense thoughts and emotions, and so may well generate karma, but they also include actions. You are actually killing your on screen opponent, albeit by pushing a button rather than hewing him in twain with a broadsword as our distant ancestors might have done. From that standpoint, computer games are going to generate between a little and quite a lot of negative karma. You may be killing non-player creatures in the game, things that look non-human, or you may be killing very accurately displayed characters representing actual human players. You may be very "into the game" or you may be very detached and treat it as just pixels. All of which is besides the fact that greed and treasure are big motives in most games. Certainly food for though... what's your opinion? Do you even believe in karma? 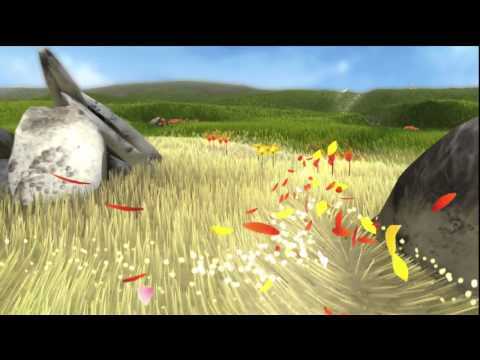 An awful lot of killing gets done with buttons and most of them have less realistic graphics than a 2017 computer game, placing you more at a remove than the game does, from a perspective of lived feeling. It makes you wonder how they accumulate their karma. This should be interesting. But it's sure an example of a first world problem. You aren't killing a person, you aren't killing anything. You just make pixels move around and take different forms. That's like saying poking a puddle with a stick kills the puddle. I believe in karma, in some senses anyways, but not in the sense that thought alone, with no real life intention or action behind it, has karmic power. In the sense that thought leads to action, yes. But not beyond that. I don't think stepping on a Goomba in Mario is going to get me any type of karma compared to catching and releasing flies and spiders from my house. There is no real life impact, and to me, it only makes sense when that is the result. If you play video games, and put yourself into a rage and yell at or even hurt people as a result, or use them to fuel already-existing rage, that's a mental health issue that needs addressing, IMO. Often times we don't even control the thoughts that come, we only control what we give action and a voice to. I think trying to discuss it can make it quite complex, but I think most people who are paying attention to how everything they do affects them, know the truth for themselves. Where you keep your mind will affect you. You know that. Game on? Affectionately, your everlovin' grammardian Angel Mod. That's a standpoint I respect, it's one possible way these things could play out. On the other hand, what you are killing looks and acts like a person on screen. How is your karma, or even your subconscious mind, going to know the difference between being in a Reaper drone control room and killing 20 Taliban with a missile strike on a screen, and shooting the crap out of a stream of enemies in Call of Duty on Xbox? For example, over the past year I've had several quite intense dreams which enacted video games. That to me shows quite clearly that games do leave traces of a certain strength, karmic or otherwise. The subconscious gets drawn into it, largely because of the connection to feeling and caring and acting on desires. If you play video games, and put yourself into a rage and yell at or even hurt people as a result, or use them to fuel already-existing rage, that's a mental health issue that needs addressing, IMO. I agree. But this brings up the interesting issue of acting out our negative emotions. Psychologists will often advise people, "beat up a pile of pillows". From a Buddhist point of view, is it not better to treat the anger with the energy of mindfulness, so that it's seed does not grow, rather than acting out the emotion at length? You could say that using a video game to burn up anger is in the same category. That's true but this is what makes gaming interesting - it is interactive, they are your choices and actions being expressed in the game. I'm delighted to report that I never give this question a single thought. I eliminated this train of thought by never playing games. @Kerome It would be interesting to know if there are studies that separate out (just for curiosity sake) games that are so realistic like Call of Duty (never play those types of games, or shooting games in general at all) or things like Mario where nothing in the game resembles real life. I'd honestly find a game like Sims to be more realistic than anything else I play, and has much more real-life-like consequences, like having your kids taken away when you neglect them. I simply don't have time to play much of anything, which I prefer. I'd rather be busy living, lol, but I still enjoy them once in a while. 95% of what I play though are games like Zelda and Mario and Mario Kart etc, so there's little connection to real life. I do play Elder Scrolls games, but despite humans being characters, they are so far removed from real humans that the connection just doesn't happen for me (ie they have magic skills and fall off huge mountains without dying, lol). But what if you look at the flip side? If you are going to consider whether killing a person in a game causes negative karma, don't you then have to look at whether NOT killing, or saving/helping someone in a game (assuming this game isn't online and there is no actual other person on the receiving end) generates good karma? Looking at it from that angle seems ridiculously silly to me. Karma is not a belief system. It is a fact of imprints within ourselves, created by our actions, emotions and thoughts. We ARE our imprints, the habits of mind and emotion that we have created, and we strengthen existing imprints or create new ones every second we exist. Of course playing video games will create imprints within us. It is inevitable. Which is part of why Buddhists focus on paying attention to what goes on inside of them .. part of why. As for your questions, the person to be asking is your teacher. And THEN take their answer and observe yourself and your life to see if events support your teacher's answer. You know your teacher's qualifications ... you do not know mine. And, in the end, your observation/experience is your primary teacher. Gaming, gambling and eating garlic and tomatoes is forbidden for strict sangha. Wot no pizza! geocaching is excellent, and even more fun when you start making and finding your own! It is something we do a lot in the fall, when the bugs die off. And good karma I imagine some games I play lately. Like some games you can negotiate with enemies rather than just all 'mowing down the grass' of enemies. And of course you know that your computer is not suffering or the ones and zeros in the computers architecture are not annoyed. Presumably. For role playing games I imagine that I am guiding the character and it is not me in the adventure. Because I am not the chosen one to save the world but my character in the game is! Edit: I'll add that video games are more fun when playful and with a 'light touch'. Awareness practice! Bugs have to die too? Ah well ... dukkha, death and ... just found my local Buddhist temple has a geo-cache. That sounds like fun! Once I get a new phone (mine is on the way out. Seriously, it has both feet out the door!) I might just try this! Sure! A video game can certainly produce karma as everything we do produces karma. Killing a video game character is very different karma than actually killing something. So much so, that one can say the two aren't even related. Even in a video game, there is no intention to actually kill anything. It's just a fantasy. However, when you play a video game and, for example, lose the game and become quite angry, that's karma too. The Buddha taught that thinking, itself, is an action and all intentional actions are karma. "In the same way, Rahula, bodily acts, verbal acts, and mental acts are to be done with repeated reflection." "Whenever you want to perform a bodily act, (verbal act, mental act) you should reflect on it: 'This ...act I want to perform — would it lead to self-affliction, to the affliction of others, or to both? Is it an unskillful .... act, with painful consequences, painful results?' If, on reflection, you know that it would lead to self-affliction, to the affliction of others, or to both; it would be an unskillful ... act with painful consequences, painful results, then any ... act of that sort is absolutely unfit for you to do. Bodily acts, verbal acts and mental acts (thoughts) are all karma. Video games are the future of humanity. Just a few decades ago, we used to have very basic games - laughable by today's standards. Now we even have virtual reality. Soon we may have games which are almost as real as this world. Holograms can help us do that. Which means we'll have the power the create any world as we please, with any rule/no rules. In short, we'd have the freedom to do what we want because we'll no longer be restricted by the world we live in. @techie Is right. Video games are part of a large technological trend. I think they are fascinating. I do not believe they have true karmic consequences because the actions have no consequence in real life https://www.pbs.org/kcts/videogamerevolution/impact/myths.html of course we discern between fake and real violence. As lay people we do not adhere to monastic ideals. I just pre ordered Fractured But Whole, South park's new video game. I can't wait. The title alone is genius. That's the scariest post I've read in a long time. I do not believe they have true karmic consequences because * I don't believe the actions have consequence in real life https://www.pbs.org/kcts/videogamerevolution/impact/myths.html of course we discern between fake and real violence. Yes, @Kannon, what you think, and what others believe, are not necessarily the same. When speaking on topics of conjecture, it does not bode well to retain a fixed notion. Like the movie The Lawnmower Man. People will get addicted and some will even die in these lands. This may sound very laughable to most but I'm not entirely sure video game violence has no real life consequences. I'm not even entirely sure the avatars getting killed do not suffer in some way. It is made to seem as real as possible though and I can't help but feel I would be contributing to and even enabling a violent mind set either within the individual developer or a community of gamers. I think we need to simplify this. Everything we think, say and do, is Karma. Everything we think, say and do, carries a consequence, or an effect. If people are unsure as to whether playing these games is harmful or not, the question may well be academic. Because the very fact they do, carries with it a consequence. What that would be, when it would be, is conjecture. But an effect, a consequence, exists. VR games make me motion sick, lol. I can't even do the "explore the ocean" thing on the Gear VR. Generally speaking, at this point I'm unlikely to continue to keep up with the gaming world. I play rarely, and when I do, the games are 10+ years old. Skyrim is the most recent game I play other than Nintendo game like Zelda and the upcoming Mario. I just don't enjoy the newer games because they are so high-stress. I don't need fake stress in my life or people swearing at me, lol. I don't play games to interact with people and don't enjoy those types of game at all. I prefer, any time I am given the chance, to interact with the real world. I have that chance (as do the rest of us) basically every moment of the day. For me, using my limiting life time on months or years worth of gaming isn't a good use of my time. My husband does. Hours. Every day, ever since he was a child. I often ask him what he thinks he will think about how he spent all that time as he gets older. Granted, I watched many hours of hurricane news this past week, and I watch 90 mins of Golden Girls before bed every day Who am I to say the way I spend my time is better than how anyone else spends their time? I'm sure they would find little value into the time I spend simply sitting in the grass under a tree. 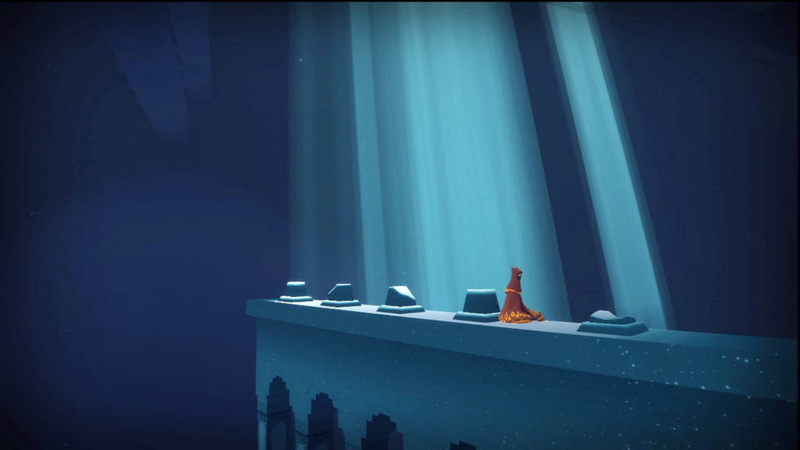 There are some games that have no or very few negative aspects, for example Flower or Journey by thatgamecompany. I was watching the Apple Event this morning and was very pleased to see that their new game Sky is coming out for iPad, iPhone and Apple TV. These games are meditative, cooperative where they offer multiplayer and artistically beautiful. I may have a look when the new one comes out, seeing if for the first time in 5 years I might buy one. @Kerome, Asking as more of a devil's advocate question, as I do get it, having seen similar games. But what is the point of immersing oneself in a fake natural world versus the real one? For me, interacting with the world in that way is about all the senses coming together, and not just sight and sound. When tactile and scent senses are missing, it's not real to me and therefore mostly pointless. Plus, the more immersive games like that are, the more people decrease how much they move their bodies. that is one thing I like about coming AR interactions, at least it gets people moving. Half the world mocked those who play(ed) Pokemon Go, but at least it got people outside and moving. The lack of movement in our lives continues to be a major player in our health and the more our entertainment encourages us not to move, the worse that is going to be. As I understand it, karma is cause and effect, it is not a system of punishment for doing wrong, but the natural consequences (of which we might not be are of) that follow certain actions. In this sense, the 'karma' of playing computer games would involve, perhaps, the frustration of having your character killed, of not completing a level, of not being good at the game, of becoming anti-social, of wasting your talents... and so on. Furthermore, as I understand, karma is extinguished through learning and understanding, and the karmic consequences are determined by our willingness and ability to learn and understand. For example, if I lie about something and feel so bad about it that I become determined not to lies in future then the lesson is learnt. If, however, I lie about something but do not care then perhaps I will need to experience being lied to in order to understand the nature of lying and the detriment of it. For me, karma only becomes a mystical and abstract reality when lessons are not learnt, and so - perhaps due to a deluge of karma to be worked through - are postponed into later life or future lives when the connection between our actions and effects are no longer noticeable. This is why when an advanced spiritual practitioner does something 'wrong' the karma of the event will return much quicker... because there isn't a backlog to be worked through. This is just my understanding. I might be wrong. @Kerome, Asking as more of a devil's advocate question, as I do get it, having seen similar games. But what is the point of immersing oneself in a fake natural world versus the real one? For me, interacting with the world in that way is about all the senses coming together, and not just sight and sound. Well, a game can give you an experience that's not available in the real world. Something like Flower can be gently enchanting much like a good book. It is a form of relaxation and de-stressing for a few minutes or hours. It's not so different from a good walk - except that you get to open flowers and change the world, rather than getting tired and smelling the forest. 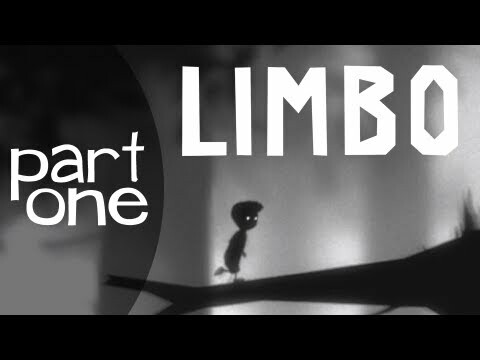 Another one that I've enjoyed in the past was Limbo, which was more dark and moody puzzling. 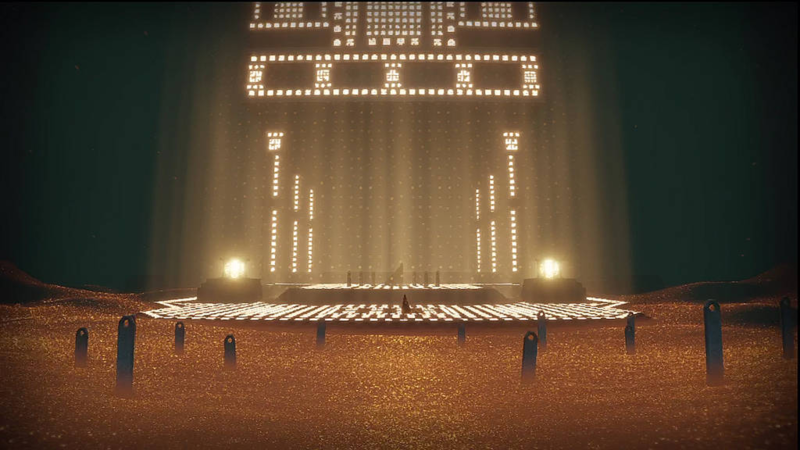 But it was kinda funny and very reminiscent of "impermanence". There's such a wide range in different gaming experiences. Unfortunately these kinds of gentler experiences are rare, more often they are stressful. No offense to Techie, but in my personal view, that's a very poorly worded sentence. "The future of humanity" is a far too encompassing statement. I suppose at some point someone said that "Radio is the future of humanity", and then "Television is the future of humanity". There are a lot of things that will make up the "future of humanity", and video games pale in comparison to many other aspects of what will be life. I've played games since I was 2 or 3 and have played just about every game type there has been, so feel reasonably well qualified to comment. Games are a temporary separation from reality but there is no doubt that they desensitise you to real world events; there's nothing that I could see happen in the real world that hasn't happened or worse in a video game that I've played. That said, I firmly disbelieve any of these theories that violence and bad behaviour are linked to, or caused by, video games. Someone that kills another has not been made to do it by playing games, they would have to be of a particular mindset to carry out those things in real life and would likely do it regardless of their gaming experiences. Of all the terrible things I have witnessed in pixel form I have no doubt that it is not real, it is no different to reading or writing a work of fiction. I therefore also don't believe there can be any karmic effect resulting from pursuing a gaming hobby. Gaming addiction and whether or not time spent playing games is skillful use of one's time are more worthwhile questions to consider. I know this discussion is more or less dead, but I noticed one other thing while playing Skyrim. Playing this game (and I suspect most others) makes me feel pretty tense. It's not that I don't enjoy the game, but it doesn't seem to have a soothing effect. This seems to run counter to the way meditation usually relaxes me. Any other gamers notice this? Yeah I've noticed it while playing ESO and The Division @nakazcid. It seems to me that a kind of anxiety would manifest from wanting to win anything too badly. There is also the fact that “death” plays a big role in most video games, and that the death of one’s character carries a disproportionate emotional weight compared to the actual punishment the game inflicts (a reload or a few coins). That’s bound to make you feel tense. @nakazcid not most of the time anymore, but it did when I was younger. If I sense tension or anxiety, I stop playing because it ceases to be enjoyable. I enjoy the process of solving puzzles (in the case of skyrim, quests) so that is how I view most of the few games I play. If I were becoming stressed out doing a crossword or a jigsaw, I'd stop for a while. Same with games. To me, they are just different puzzles. On the positive silver lining side to the tension in games my therapist said that he had heard and TED talk (and maybe some patients) who used video games to help with anxiety. The idea is that a video DOES give some tension/stress but for some people/games it is a relatively small amount of stress that can be relatively easily overcome. Thus it is helpful in gaining confidence. With stress due to a certain stressor like going out of the house getting experience and having success with the stressor is a positive outcome. So if you have stress in public and you say go to a coffee shop and sit in public and it is a success then that is progress. Success might be less anxiety than you usually have or some amount of anxiety that you overcome. On the other hand when working with anxiety you don't want to early on expose yourself to a stressor that your probably going to have a traumatic experience because that reinforces the apprehension of going out and being exposed to stressors. So with those in mind the idea is that video games are in your own home and if you feel to stressed your choice could be to exit the game and then you can be away from the games stress. But if your choice is to stay with the stress there is a reasonable chance that you can push through or at least endure the stress and it can build confidence. @karasti Interesting thing is, I find puzzles stressful. If I can't solve them, I must be der...STOOPID. So I stay away from puzzles, or at least the challenging ones. They occasionally come up in other types of video games, and cause tension unless I can solve them quickly. 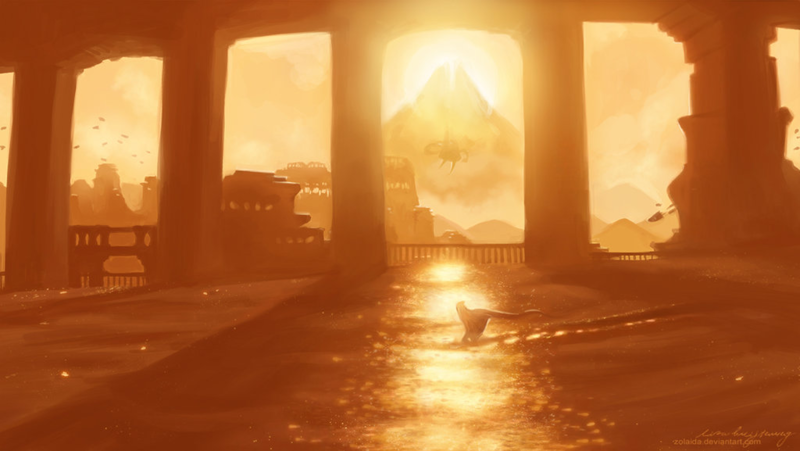 Journey is an amazing game, when I was in high school I was subscribed to game informer... I saw their blurb in the back of the mag and bought it on my ps3 It feels like a long time ago now. It was a great experience, beautiful and breathtaking. There are "tense" moments but it adds to the story....besides a few eerie locations the rest is so calming it makes up for it. the final stage had me in tears. There is no talking in the game, no action, just a glorious score of music, good puzzles in beautiful scenery to walk around in. You are always in the direction of a mountain summit (heaven? nirvana?). It is very "Buddhist" (TM) so to speak. Its called Journey...a better word would be pilgrimage. I haven't played their other games but the studio has similar relaxing and pretty titles.